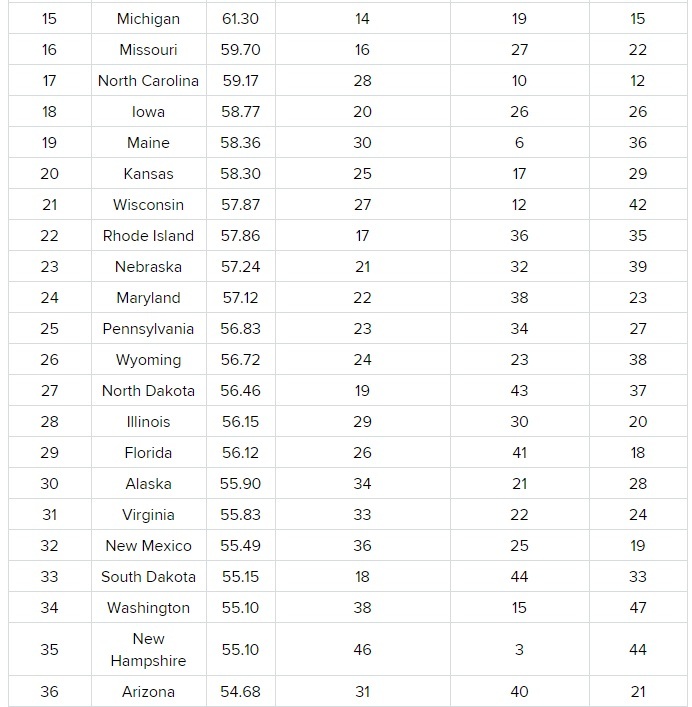 Wallets recently published an article listing the fattest states in the country. See the results below. “Fat” is becoming the new normal in America. According to the most recent data from the Centers for Disease Control and Prevention, more than seven in 10 U.S. adults aged 20 and older are either overweight or obese. Rates are lower for children and adolescents but have risen drastically in the past few decades. So prevalent has America’s obesity problem grown that the weight-loss industry continues to expand. In 2017, the U.S. weight loss and diet control market was valued at $66 billion. The U.S. spends in total nearly $200 billion in annual health care costs related to obesity. New findings by the Physical Activity Council suggest a need for more aggressive efforts to combat the issue. According to the report, 82.4 million Americans aged 6 and older were completely inactive in 2017. Lack of physical activity is a leading cause of obesity, in addition to genetics, emotional instability and sleeplessness. 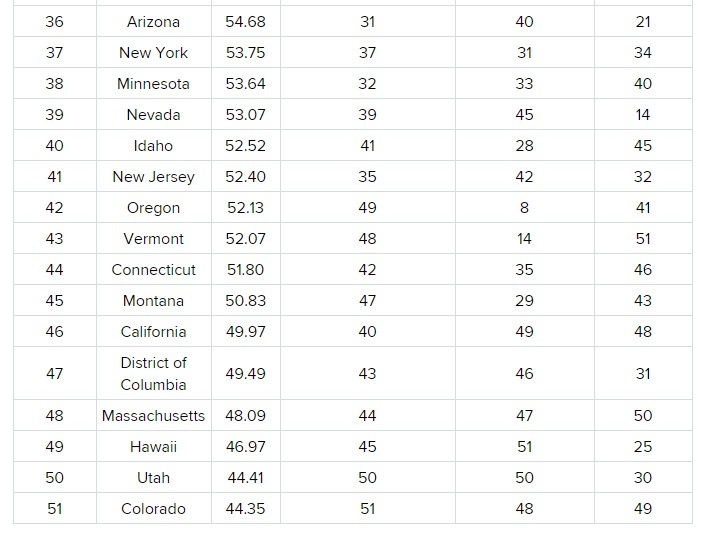 But the problem is bigger in some states than in others. 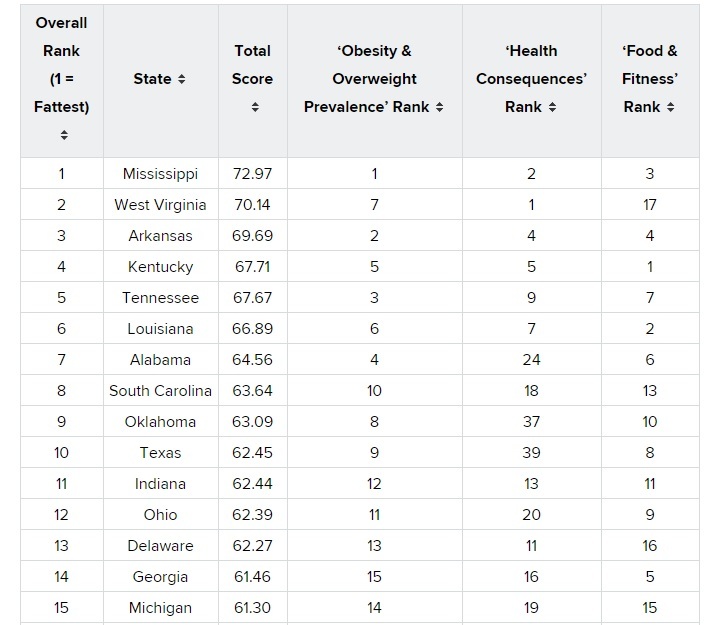 To determine where obesity and overweight most dangerously persist, WalletHub compared the 50 states and the District of Columbia across 25 key metrics. Our data set ranges from share of obese and overweight population to sugary-beverage consumption among adolescents to obesity-related health care costs. Read on for our findings, expert commentary from a panel of researchers and a full description of our methodology.